Golfers in general don’t pay a lot of attention to one piece of their equipment – their socks – but maybe they should. Zensah, a Miami, Fla. based company, is applying the lessons learned about the benefits of foot and leg compression supplying gear to runners to golf. They believe the right socks will help golfers play better and feel better too. 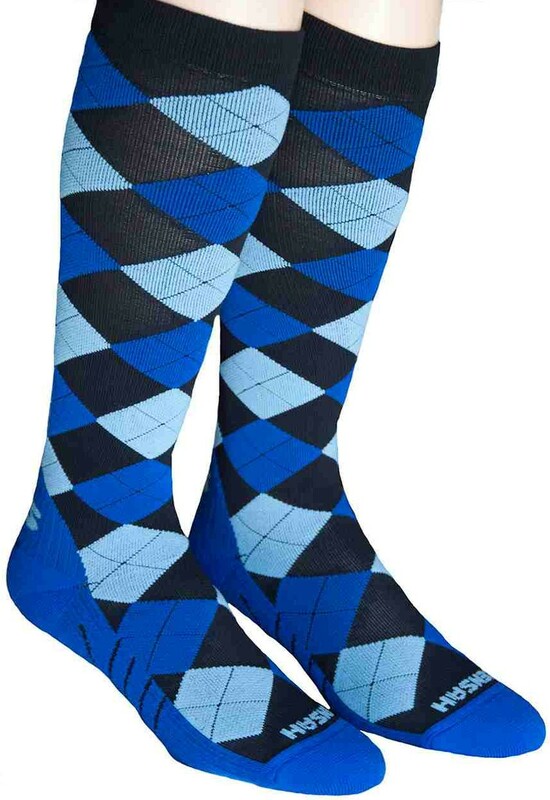 Their Argyle Compression Socks are designed to decrease leg fatigue by stimulating blood flow in the leg, ankle and foot by compressing them firmly but comfortably. The Socks compress the foot with a gradual lessening of the compression moving up to the ankle then calf and lower leg. Besides lowering leg fatigue they also give the wearer a feeling of firmness and stability which help making a golf swing. At $49.99 per pair the Zensah are not inexpensive but for those looking to get help either walking or riding there are benefits to slipping on compression socks…and who knows they may help your putting as well. You may find out more at zensah.com.